Use charm packs or your scrap bags to make these fun and easy quilts. 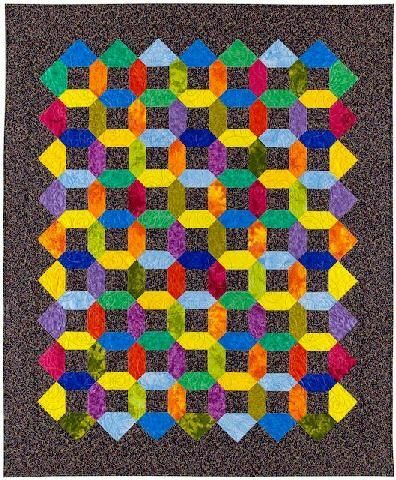 The charms are the multicolored blocks of the quilt shown. There are three optional layouts in the pattern that give three different looks to the finshed quilts. A one day workshop or class.